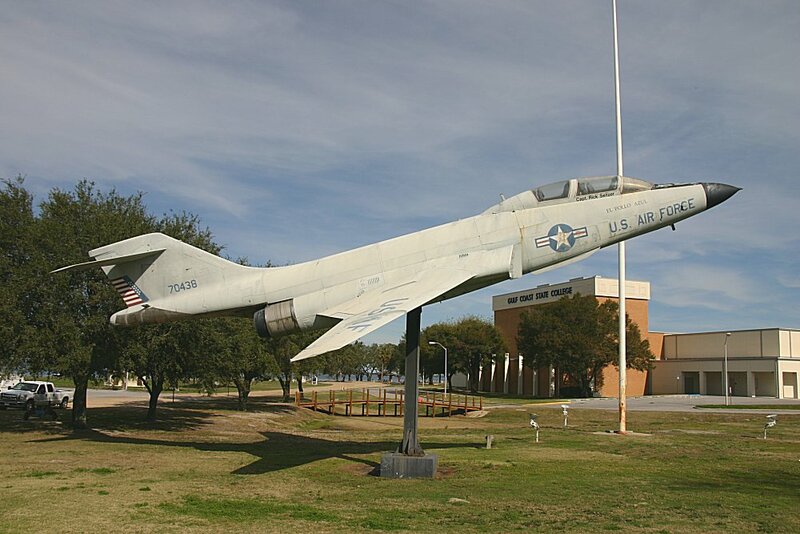 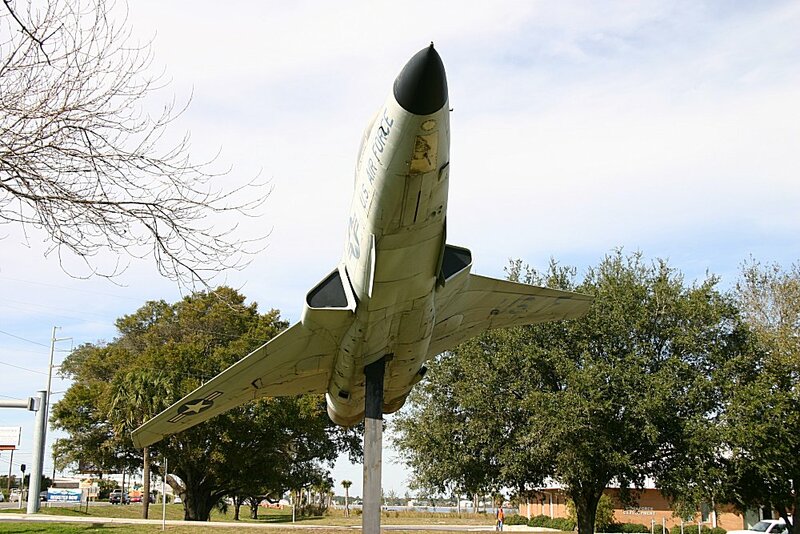 McDonnell F-101B Voodoo (Serial No. 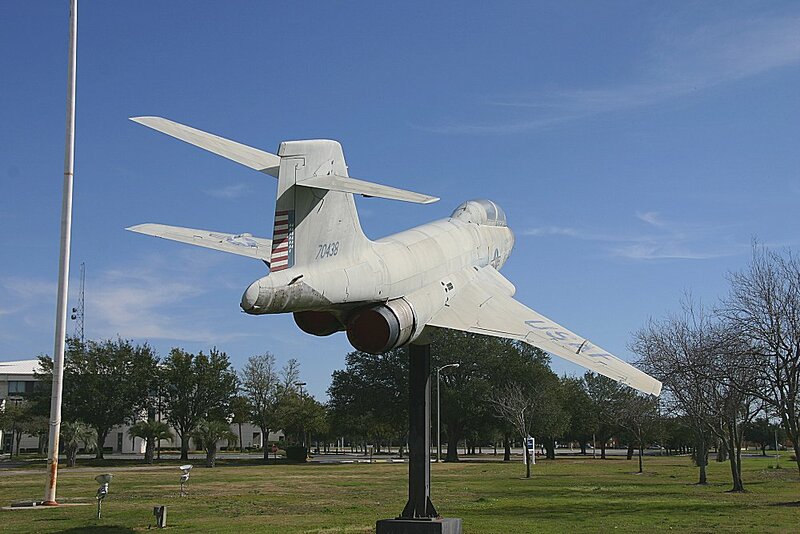 59-0438), painted as 70438, when it was a static display at the Gulf Coast Community College, 5230 West Highway 98. 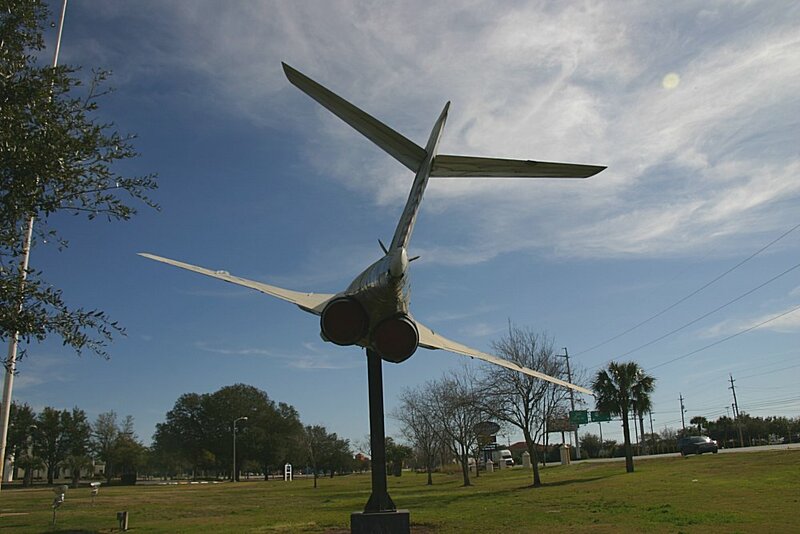 This aircraft has been removed and sunk as an underwater reef. 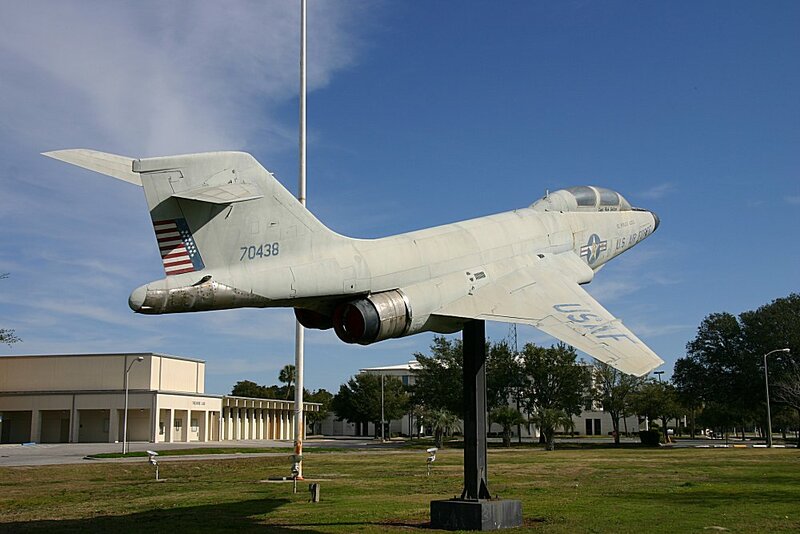 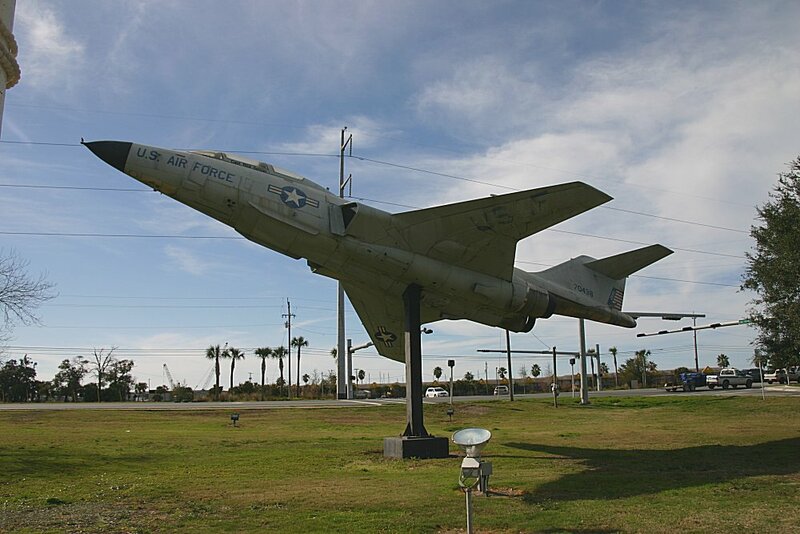 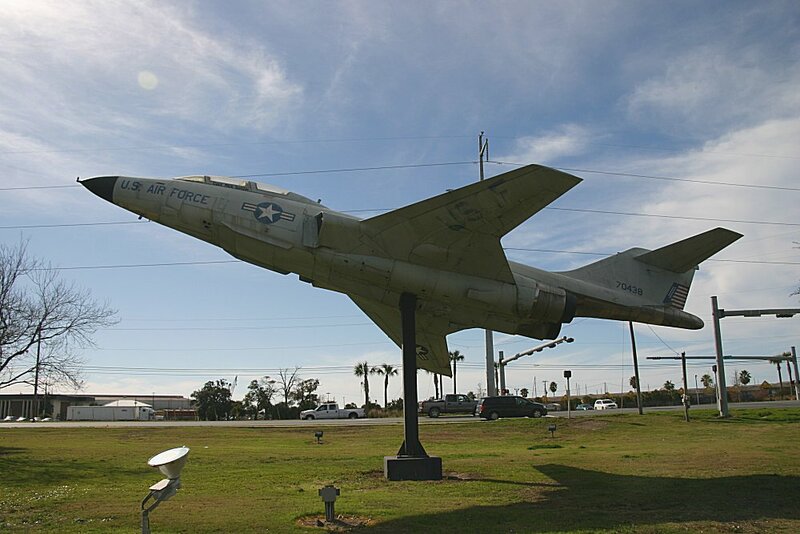 A local tourism agency and the Florida Fish and Wildlife Commission paid for the undertaking, wherein the three F-101B jets on display in Panama City were gutted of any and all components or materials that might pose an environmental threat, and secured with two concrete anchors to ensure they stay put, even in the face of Florida’s famous hurricanes. 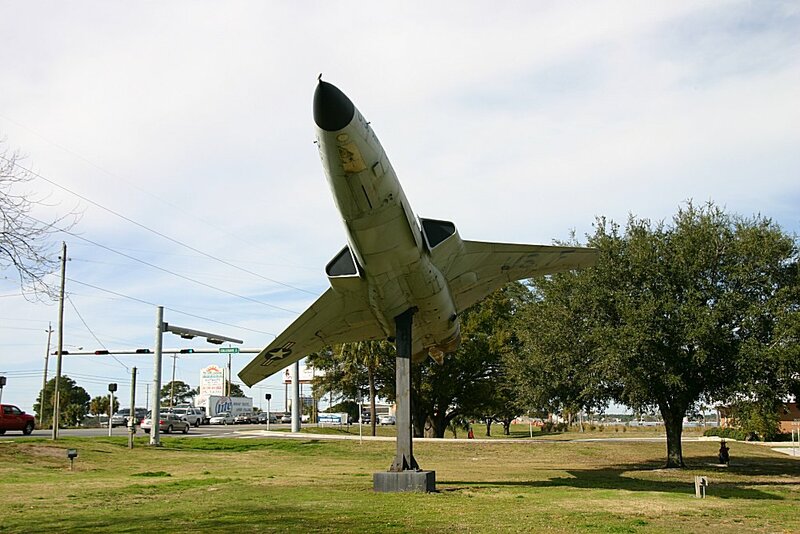 The jets were deliberately placed at depths accessible to most divers, making for an easy dive for both visiting and locals. 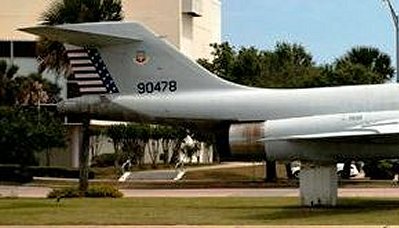 McDonnell F-101B Voodoo (Serial No. 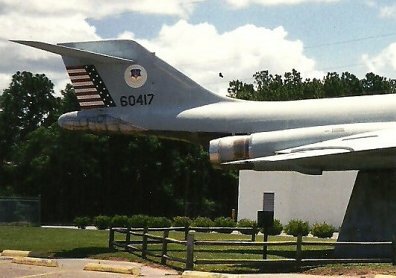 57-0417), painted as 60417, when it was a static display at Callaway Plaza, Highway 98E. 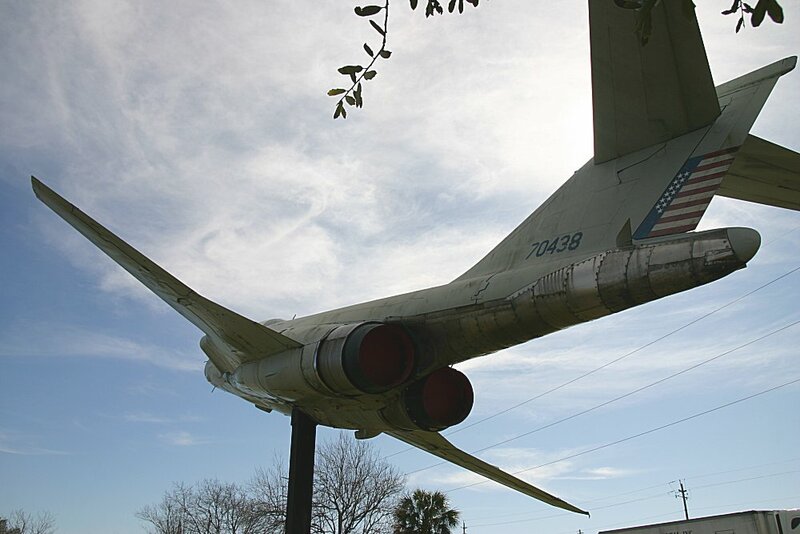 This aircraft has been removed and sunk as an underwater reef. 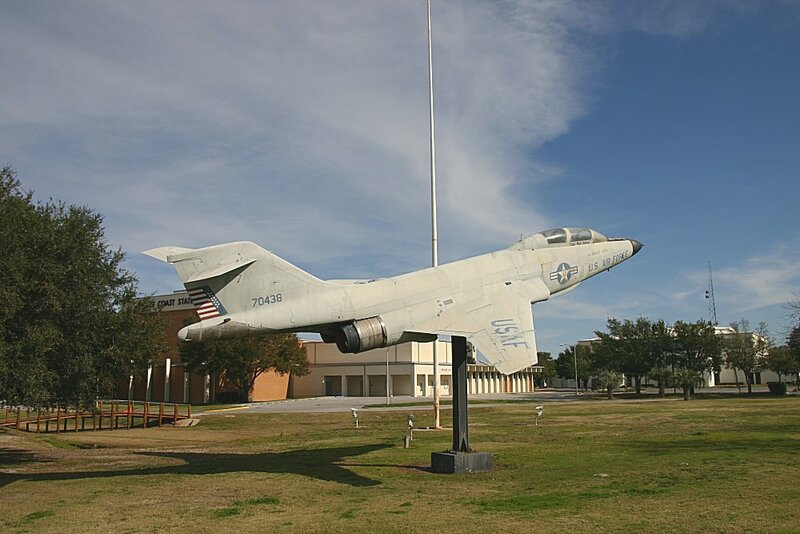 A local tourism agency and the Florida Fish and Wildlife Commission paid for the undertaking, wherein the three F-101B jets on display in Panama City were gutted of any and all components or materials that might pose an environmental threat, and secured with two concrete anchors to ensure they stay put, even in the face of Florida’s famous hurricanes. 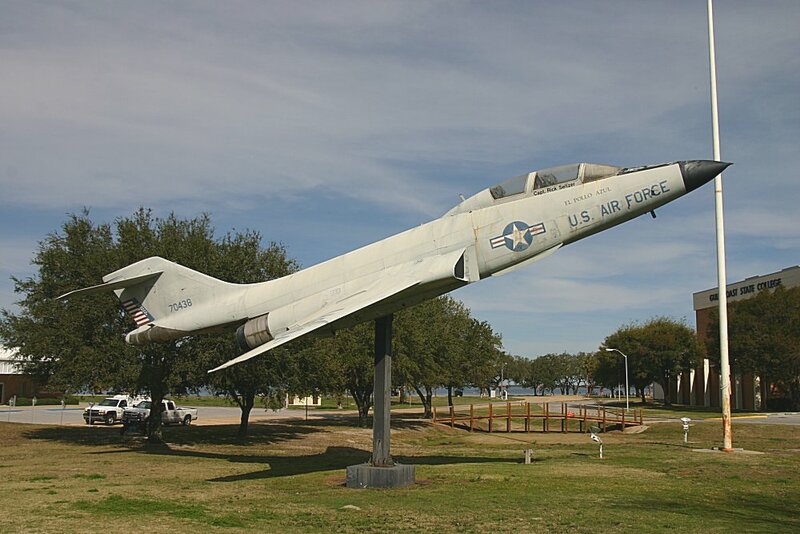 The jets were deliberately placed at depths accessible to most divers, making for an easy dive for both visiting and locals. 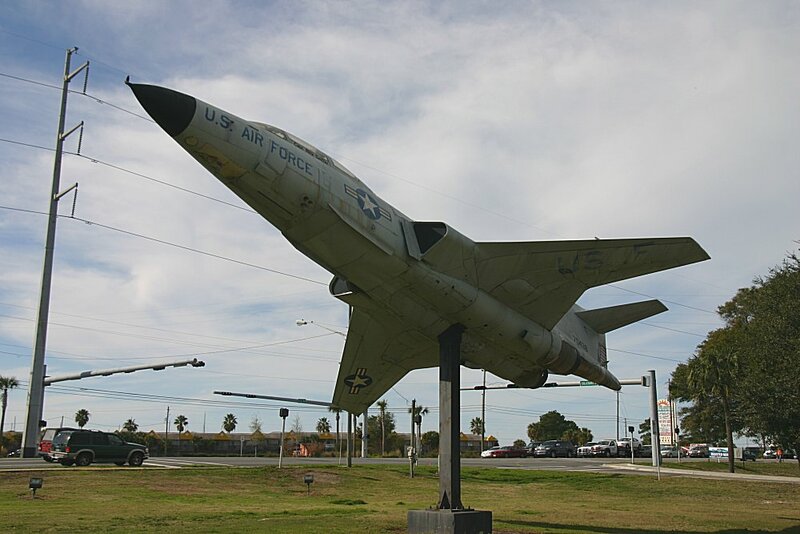 McDonnell F-101B Voodoo (Serial No. 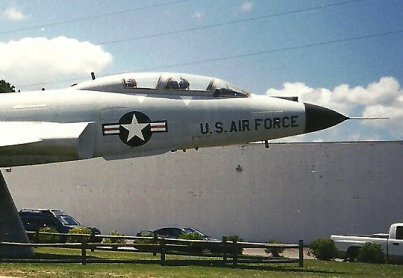 59-0478), static display near the waterfront. 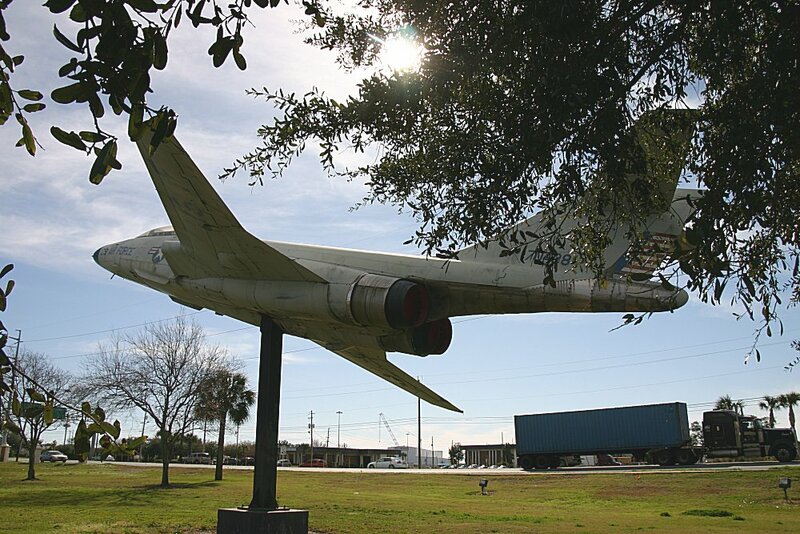 This aircraft has been removed and sunk as an underwater reef. 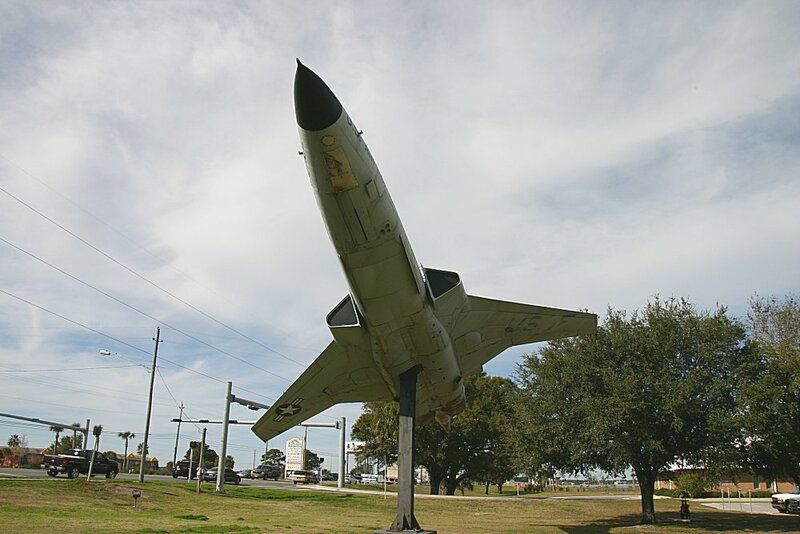 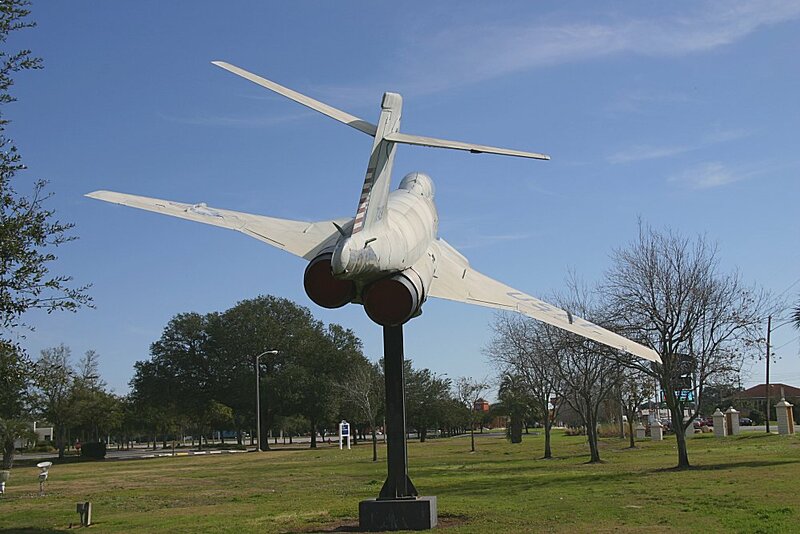 A local tourism agency and the Florida Fish and Wildlife Commission paid for the undertaking, wherein the three F-101B jets on display in Panama City were gutted of any and all components or materials that might pose an environmental threat, and secured with two concrete anchors to ensure they stay put, even in the face of Florida’s famous hurricanes. 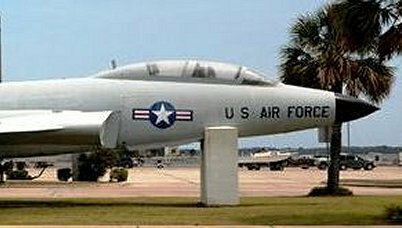 The jets were deliberately placed at depths accessible to most divers, making for an easy dive for both visiting and locals.